Map It! 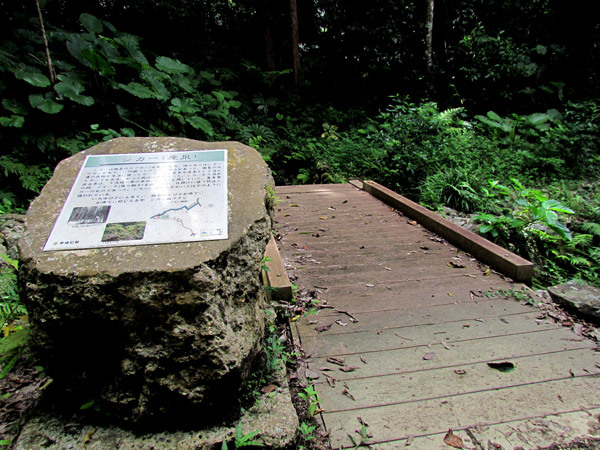 Okinawa: "Tonuka of Jyana, Nakijin Village"
"Tonuka of Jyana, Nakijin Village"
Okinawa is full of mysterious places to see, especially those places created by acts of nature. 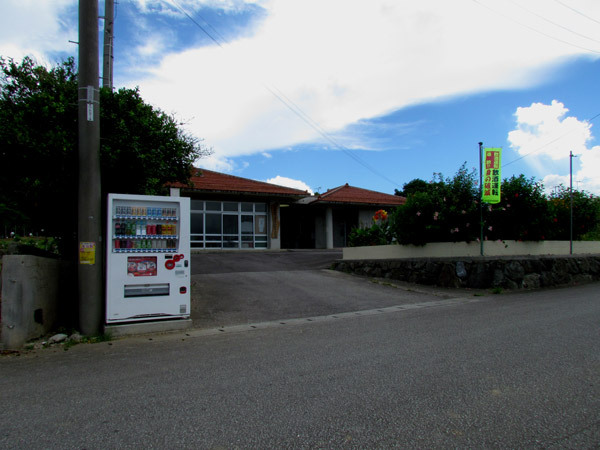 In a small 'corner', in a place called Jyana of Nakijin Village, lies an interesting little 'hole in the wall' referred to by the locals as 'Tonuka' (トヌカ). 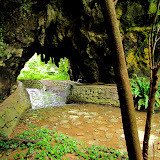 As you arrive, your initial impression might be that it is a cave. 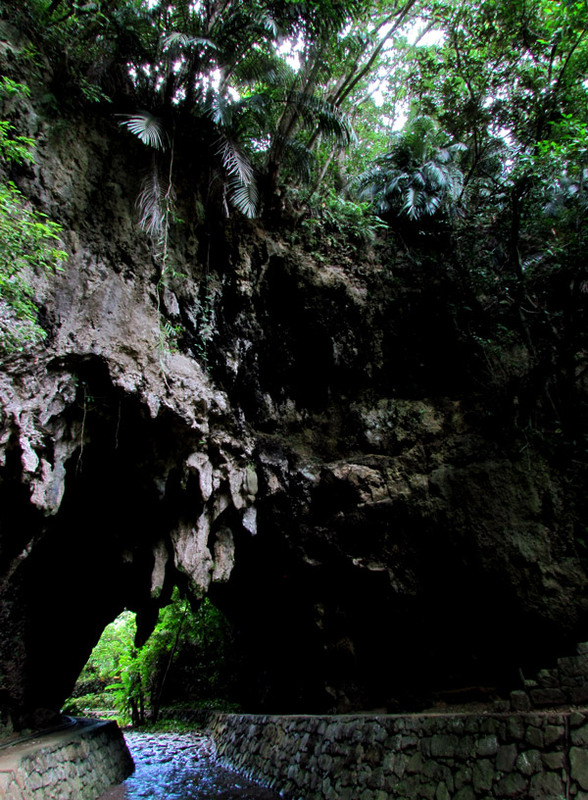 On the contrary, it is just a small tunnel naturally formed into the earth with stalactites forming above. Though it is simple in form, you'll be magnetized by its presence. It is well masked by the surrounding trees and vegetation and lies adjacent to a nearby farm. Farmers still come here to use the natural water that flows through it guided by a man-made channel. The Name's Origin. To this day, it is not certain why it is called Tonuka (トヌカ). It appears to be a word of Okinawan dialect, however, it is not certain what the name means. There is only a small passage written about it in Jyana's historical chronicles (pg 175). Inside, it speculates that the meaning might refer to something in which a river flows through it or a means to go to heaven, perhaps a gateway of some kind? Author's Note (Important!). In the area you will find old graves most of which are no longer in use and have long since been hallowed out and the remains taken elsewhere. Please, however, show a sense of respect and quietness if you are in the area. Parking (Important!). The dirt road leading you up to Tonuka is not a through road and it ends right near the natural tunnel. Because the road is narrow, it is highly, highly recommended you park near the Landmark/Parking Spot identified by the Green Thumbtack in the map above (3-Way Fork in the road) . From here it is about a 10 minute/400 meter walk (Pink walking route above). 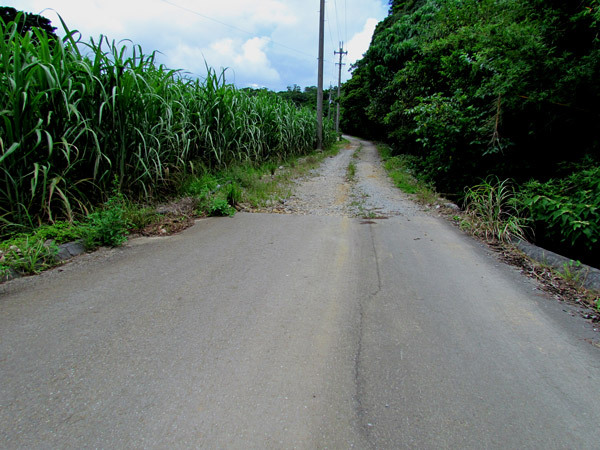 Farmers still use the dirt road to access their farms and this road should be kept clear. How to get there. 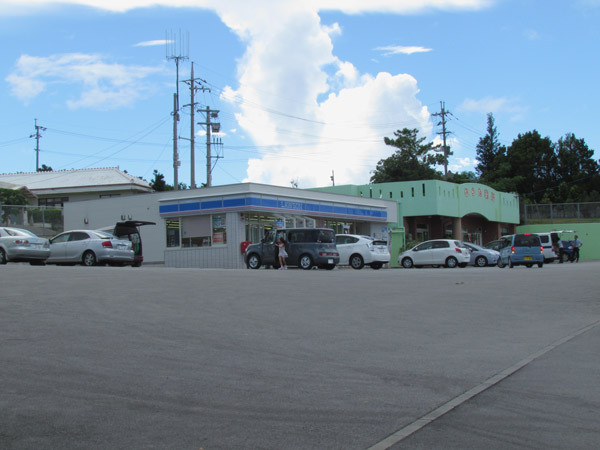 The most direct route is to take Highway 58 into Nago City and then turn onto Highway 505 (while still in Nago City). 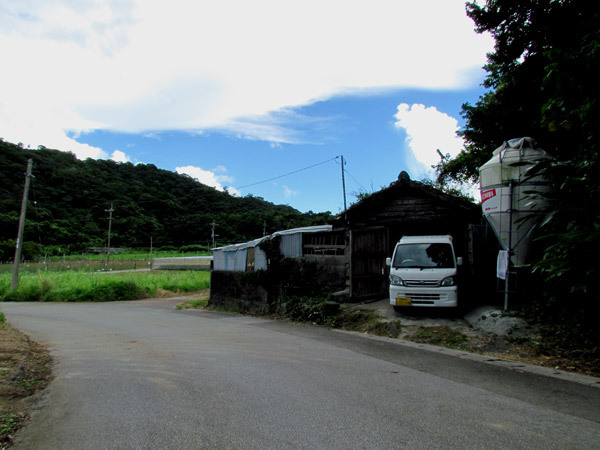 Highway 505 will take you into Nakijin Village. The first LandMark will be a Lawson's Convenience Store on your left. About another 200 meters you will see a Historical LandMark Sign on the left hand side that says 'Janaayachishishi'. Turn left here. 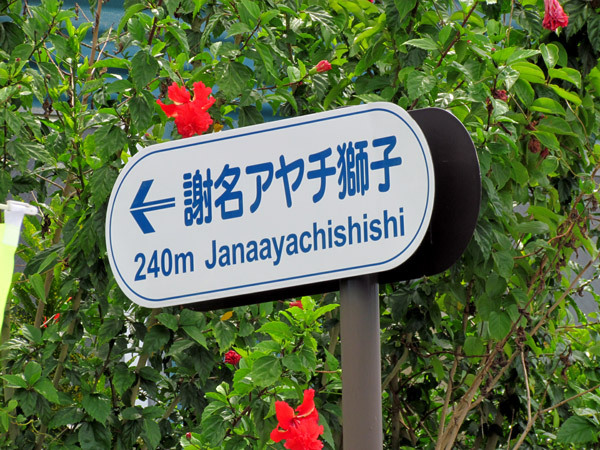 This is where the 'Blue Route begins (Janaayachishishi is another historical area to be mapped at a later time). Another 240 meters you will see the location of 'Janaayachishishi' - which right now just lies Jyana's Community Center (on the right hand side). Continue straight along the blue route for another 500 Meters. You will pass this LandMark (A farmer's stable and water tank) and then shortly after you will come to a 3-Way Fork in the road identified by the Green Thumbtack. This is where you should park. 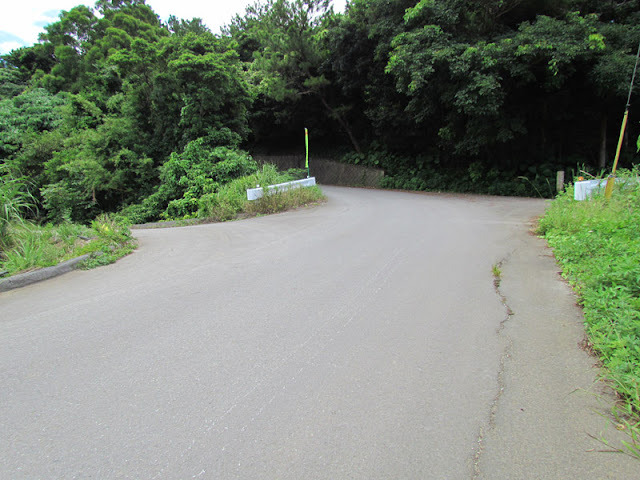 The road to the right leads to an old spring called Shikaa (シカー). The one in the middle goes up a hill. The road to the left immediately becomes a dirt road (THIS IS THE TRAIL YOU TAKE TO TONUKA!). 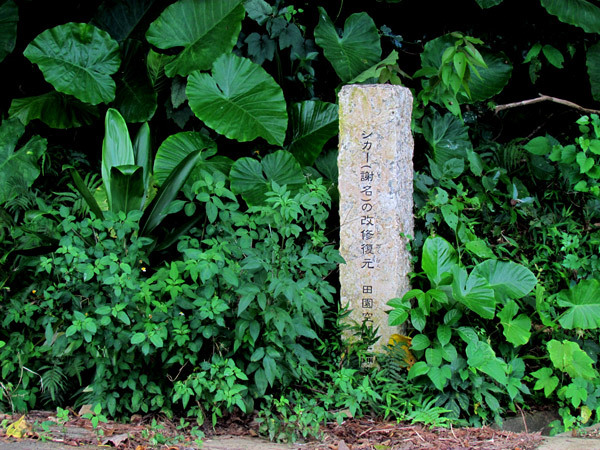 In the middle of the 3-Way Fork is another identifying LandMark which is a stone marker for the Shikaa (シカー) Spring. * GPS coordinates above is to the parking spot. "The Katana and the Ginoza Museum"
"Food Adventures – Toto la Bebe Hamburger"
"The Nanjo Sunrise and Cape Chinen"